The plant is a living being, and as it is peculiar to all living things, it is subject to stress. What is plant stress? This is the predominance of decomposition reactions over synthesis, when the plant only consumes the substances accumulated in the cells, but does not replenish the reserves. This process leads to a rapid aging and wear of tissues and if it is not stopped – to their death. For the purpose of self-preservation, first of all the plant saves tissues responsible for its life (roots, vegetative organs) and refuses generative, which are the main consumers of nutrients and energy (drying flowers, shedding ovaries and fruits). As a result of stress, we lose a crop. When growing outdoors, where it is difficult to create optimal growth conditions for controlled plants, plants are constantly exposed to various stress factors: water deficiency or soaking, freezing or extreme high temperatures, air drought or prolonged rains, diseases, pests, toxic pesticide damage, deficiencies and imbalances nutrition, salinity, deviation from the optimal pH, high carbonate or other toxic substances in the soil, competition with weeds, soil compaction, hail and etc. As a result of constant stresses without human help, a plant can only reveal 30-35% of its biological yield potential. Eliminating the harmful effects of stress, we are recovering some of the lost crop, which is usually incorrectly called an increase. The biological potential of a variety, a hybrid (the maximum yield under ideal conditions) is due to its genotype and no agronomical measures can increase it (except for breeding), so all the “yield increments” from the use of certain preparations or measures are nothing more than a recovered crop in stress. With stresses, you can and should fight, and a modern arsenal of various growth stimulants and anti-stress agents allows them to be managed quite effectively. Stresses persecute plants throughout their life, but the most terrible consequences are manifested when they coincide with the most critical phases of plant development (shoots, budding, flowering, ovary formation, fruit filling). In order to manage stress, it is necessary to establish its nature and try to exclude or minimize the harmful effect of this factor on plants. Optimal preparation of soil or habitat of plants is to ensure the optimum regime of humidity, gas exchange, availability of nutrients in the soil. Seed treatment with disinfectants in combination with microelements and growth stimulants – ensures the resistance of young plants to diseases, stimulates the rapid formation of a strong root system. The use of sheet dressings, antistress agents and growth regulators is an opportunity to influence the growth and development of plants throughout the vegetative period, controlling all phases of plant development. Applicable for all types of crops, but the most important is for plants that are grown without irrigation, on the bog. This is the only way for them to get out of stress, and also to correct deficiencies in nutrition. Watering and fertilization with organo-mineral fertilizers and growth stimulators provides plants with adequate nutrition, stimulates a powerful development of the root system, enriches the soil with a useful microflora, and ensures a full-scale crop formation. It must be remembered that if you see an external manifestation of stress in plants, then this already indicates a profound disturbance of metabolism in the plant organism. The earlier the negative influence of stress is eliminated, the less the yield decreases. To do this, use special drugs – anti-stress.What are growth regulators and anti-stressors? The regulators of plant growth and development include both synthetic and natural origin substances containing plant phytohormones (auxins, gibberellins, cytokinins – responsible for stimulating growth and development, and abscisic acid and ethylene for aging and fruiting). Growth regulators are able in small quantities to cause various changes in the growth and development of plants. They are strong biostimulants, i.e. increase immunity, accelerate the rooting of cuttings and germination of seeds, stimulate flowering and the formation of ovaries, accelerate the ripening of fruits. Antistressants are drugs containing biologically active substances and nutrients that allow plants to overcome stress in a short time. Antistress function is performed by amino acids, humates, fulvic acids, vitamins, polysaccharides, chitins, enzymes, proteins, microelements, hormones and other biologically active substances. 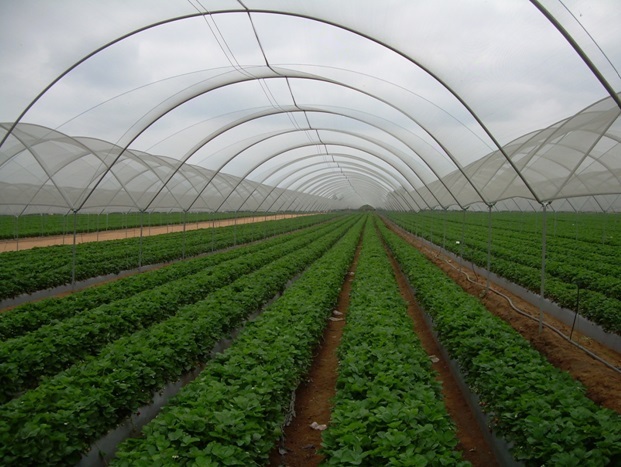 Antistressants are used for processing planting material, root and leaf fertilizing of crops. Antistresses activate the necessary vital processes in plants, promote improved assimilation of nutrients, increase resistance to stressful situations. Extract leonardite – rich in humic and fulvic acids, microelements. Increase the effectiveness of the use of mineral fertilizers and prevent their leaching from the soil; serve as a source of nutrition for plants and microorganisms; neutralize heavy metals and pesticide residues in the soil; activate plant growth; relieve stress; increase the yield and quality of products, the resistance of plants to disease, soil fertility by improving its structure, buffering and activating the activity of soil microflora. The hydrolysis of vegetable proteins of leguminous plants (amino acids) – perform a number of important functions in the plant: they serve as a direct, easily assimilated source of nutrition for plants; activate the process of protein synthesis in the plant; perform a transport function – chelate and deliver trace elements to the tissues that need them; control the work of stomata in the plant; relieve stress of various origins; increase drought and frost resistance of plants; increase the yield and quality of products, when they enter the soil, they activate the soil microflora. Amino acids are the most affordable, effective and fast acting antistress. The complex of free (non-bound to peptides) L-amino acids of plant origin is rapidly included in the metabolism, restoring the broken chains of protein synthesis, reducing the time of exposure to stressful environmental factors up to several days or even hours. Amino acids for plants – the highest mobile form of nitrogen, from the amino acids of plants form their own proteins, it is also the basis for the synthesis of enzymes and plant hormones. Extract of algae – are the best stimulator of growth and development of plants of natural origin. Contain all kinds of phytohormones (except for the aging hormone – ethylene), micro and macro elements, vitamins, betaine, mannitol, oligosaccharides, alginic acid and other biologically active substances. Regulate the growth and division of cells, balance the elements of nutrition, stimulate the processes of synthesis, prevent the aging of plants, when applied to the soil, improve its properties, activate the microflora, increase the fertility of the soil. Mineral cocktails of microelements chelated with organic acids (EDTA, OEDF, DTPA, etc.). Valentina Kotsur, agronomist-consultant, b. n.